Gitte Christensen was born and raised in Australia, but also lived in Denmark for 12 years before returning to study journalism at the Royal Melbourne Institute of Technology. Her speculative fiction has appeared in Aurealis, Andromeda Spaceways Inflight Magazine, Bards and Sages Quarterly, 10Flash and other publications, as well as the anthologies The Tangled Bank: Love, Wonder and Evolution, The Year’s Best Australian Fantasy and Horror 2010 and Dark Tales of Lost Civilizations. To escape keyboards, she regularly grabs a tent and a horse and goes trailing riding through distant mountains. You’re currently part of a workshop on writing speculative fiction being run by Writers Victoria, presented by Jack Dann. How important are resources like this to developing your writing? Do you think that they are utilised enough by up and coming writers? What have you gotten out of it so far? Workshops are useful because they get you out of your own head and make you look at your work through the eyes of others. You discover, much to your amazement, that other people’s reading tastes vary and that not everyone is in awe of your particular genius. You find yourself having to stick up for your characters, explain your plot and defend your choice of words, and either you can do so and go on to create a stronger piece of work, or the thing crumbles under the weight of its own ineptitude and you trunk it. Workshops are also invaluable for networking, and, especially with speculative fiction, making new friends who enjoy many of the same things that you do. The fact that there are a few people I can now wave to or chat with at conventions is mostly due to the various workshops I’ve attended. No, I don’t think enough new writers utilise these resources, or utilise them fully. Critiquing can be a raw experience, and often those who do sign up are put off by the ego-bruising awkwardness of the first few sessions and don’t stay the course. They end up missing out on the best part, which occurs once the participants have settled into the critiquing process and realised it’s not about personal attacks, but about improving their writing. So far, with this particular workshop, I’d say that it looks like the stentorian voice of Jack Dann repeating certain basics of storytelling has been permanently embedded in my brain. You have had a great deal of success locally, getting published in some major Australian markets, such as Aurealis and ASIM. Do you deliberately try and write for Australian audiences, or are you submitting internationally as well? Great deal of success? Moi? Thank you, that’s very kind of you, but I think most people reading this would be thinking Gitte Who? I don’t deliberately write for Australian audiences, but that said, I was definitely harking back to my outback childhood when I wrote the Aurealis and ASIM stories, as well as my piece in the anthology ‘The Tangled Bank’, and I thoroughly enjoy using Aussie settings and tropes to shape my fiction. I do submit internationally, and have been published in US publications and anthologies, but all of those stories have been devoid of any “confusing” Aussie references. Once you’ve finished the current workshop, are there any other projects you have planned that you wanted to talk about? Where to from here? My plan for now is simple, and one probably shared my most emerging writers: find enough time to keep plugging away at the keyboard and hope my short fiction improves to the point where it’s being regularly published and people vaguely recognise my name. I’m longing for a professional sale, of course – I’ve been so close a number of times that it’s teeth-clenchingly frustrating. Ultimately, I’d like to also write novels. I have the first two volumes of a massive SF saga that I’d like to beat into a readable structure, and a YA novel that I finished for a workshop with Paul Collins two years ago which needs about a month of focused dedication. But how to clear a month, that’s the quandary. 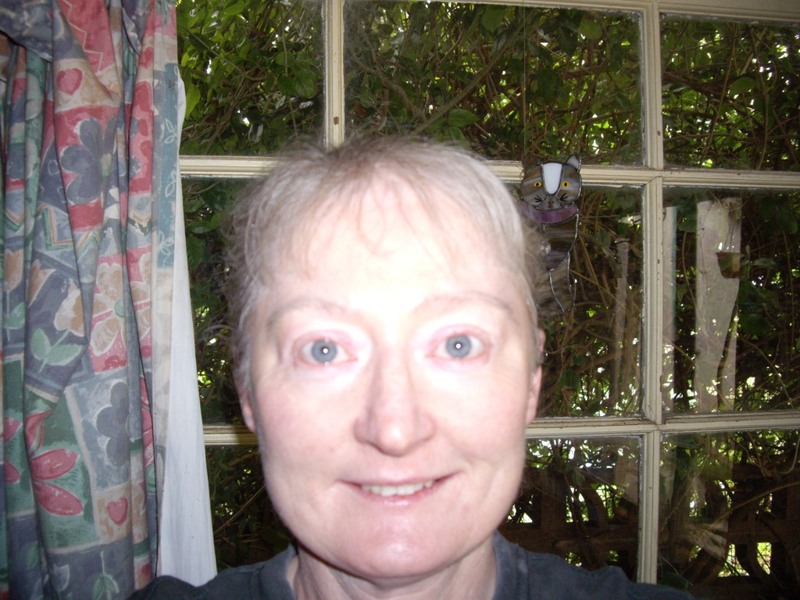 This entry was posted in Writing and tagged 2012snapshot, Gitte Christensen, interviews on June 5, 2012 by David.